One scheduling feature our customers love is the “unscheduled visits” column. This is where you can drag a visit and “park” it while you find a place for it on the schedule. Most scheduling systems don’t have this. In SortScape you can “park” a visit in the unscheduled visits column. 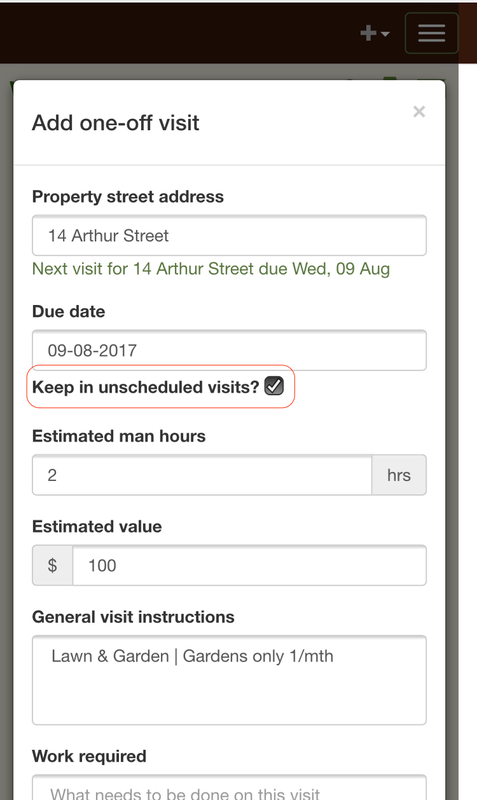 Currently, when you add a new one-off visit, SortScape automatically adds that visit directly to the schedule on the due date specified. We’ve heard from many customers that they find themselves frequently dragging new visits from the schedule to the “unscheduled visits” column until they have space available. To save you the extra step, we’ve added a “keep in unscheduled visits” checkbox you can tick when adding a one-off visit. If this box is ticked, the visit will go straight into the “unscheduled visits” column rather than onto the schedule. If this box is checked, the visit will go into the “unscheduled visits” column rather than the schedule. 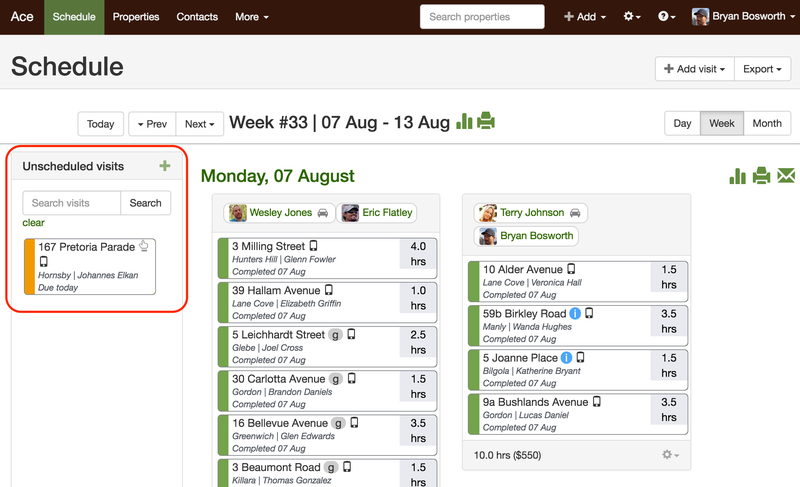 This is just one of the many small features we’re constantly introducing to fit the way you work and make your maintenance business run smoother. Enjoy!